Renée Jones-Bos has been the secretary-general of the Dutch Ministry of Foreign Affairs since the 1st July 2012. From 2008 to 2012 she was the Dutch ambassador to the United States of America. Previously she served as the [deputy] director-general for Regional Policy and Consular Affairs (2003 to 2008) and as an ambassador-at-large for human rights from 2000 to 2003. From 1998 to 2000 Renée Jones-Bos was also the head of the Security Council Task Force of the Dutch Ministry of Foreign Affairs. Previous duties within the Ministry include: Deputy Head of Mission at the Dutch Embassy in Prague (Czech Republic); Head of Recruitment and Training; and postings in Washington (USA), Paramaribo (Suriname), Dhaka (Bangladesh) and Moscow (USSR). 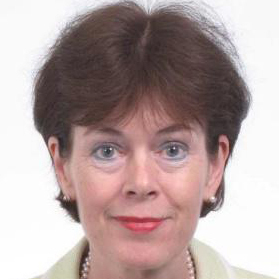 Renée Jones-Bos has also held several board positions during her career, including on the Supervisory Board of the Leiden University Medical Centre; the Board of the Netherlands Society for International Affairs; the Advisory Board of Tilburg University; and the Selection Board of the Dutch Ministry of Foreign Affairs. She holds a degree (MA) in Russian Studies from the University of Sussex (UK) and a degree in Russian and English studies, politics and economics from the University of Antwerp (Belgium). Apart from Dutch and English, Renée Jones-Bos also speaks French, and has a basic knowledge of German, Russian and Italian. She was born in the Dutch town of Oud Beijerland in the province of South Holland and grew up in Zeist near Utrecht. Renée Jones-Bos and her husband, Dr Richard Huw Jones, have two children.